She Talks Silence started as a solo project plucking away in the shadows, before becoming a duo moving ever-so-slightly forward, before this year returning once again as just Minami Yamaguchi, somehow taking a bigger step forward but also becoming harder to hear. Sorry, I Am Not is only available digitally, which in theory would make her reflective rock more readily available, but which is still a single lane. Yet this new digital solitude works well with her sound on Sorry, an album where she both refines and mucks up her hushed sound. 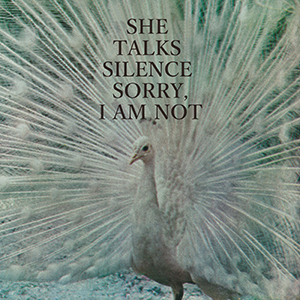 The title track rushes out on a skittery beat, but her singing remains closer to a whisper. 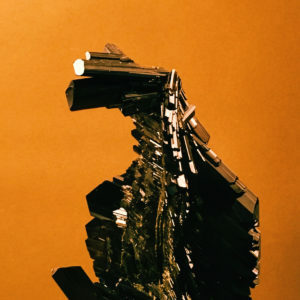 Yamaguchi continues to put her darker spin on indie-pop on bouncy cuts such as “Walk Away” and “Holy Hands, Holy Voices,” yet she’s also crafted an unsettling lullaby of a song on “More Anti-Yourself” and added ample scuzzy feedback to “There’s No.” As long as their is a way in, She Talks Silence’s world will always draw us in. Gang! was the expected push forward, but as the year went on it also felt like an album where she was finding her footing in this more polished zone. Really good, but more of a bridge to what’s next. And fittingly enough, she delivered an even greater knock-out this summer with the digital single “We Should Kiss,” a song perfectly splitting the difference between her weirder origins and a pop sound. That’s the one cashing in on her potential — Gang! is her zipping towards that moment. Older Japanese music has enjoyed a revival of sorts in recent years, whether becoming the bedrock of “future funk” or turning into a digger’s delight. Problems, though, arise, running from the sense the actual Japanese artists who made these sounds are being eclipsed in terms of name recognition by bedroom producers, or the general air of exoticization surrounding the hunt for rare Japanese records. Yet just as prevalent an issue — so many remixes or interpretations of these lost albums sound the same. It’s refreshing, then, for $ega & The Rainbow Streets to come along with Omoi De 100 Kei, a collage of older songs blended together into something new, revealing new perspectives (or at least utilization) on familiar numbers. $ega is a new project from DJWWWW, something made clear from the fact the first sound here is of a meatheaded classic rock bumper growling out “It’s time to rock / It’s time to go back in time.” Yet rather than the sonic demolition derby of his other project, $ega weaves in samples of Junko Yagami and Hiroshi Satoh, the latter subtly, before settling on a YMO-like groove. And so it goes, things sounding familiar, but not too obvious, and always arranged into something different. While Omoi approaches the wildness of other Wasabi Tapes projects in dashes, the songs here find $ega laying down actual grooves built from the past, even with some wrinkles visible. Tokyo producer LLLL spent 2017 in a constant state of self exploration. That played out on the Chains series, an ongoing project via Zoom Lens that found LLLL sharing a new song every month, and then compiling them into EPs. 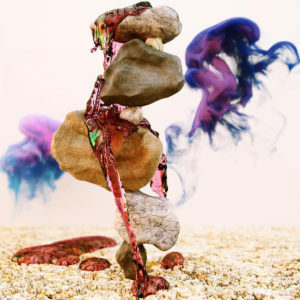 Although the full scope of the project hasn’t been revealed yet, the three “phases” put out over these last 12 months offer a compelling and mutating set from the artist. Phase 1: Resent hit hard, turning the human voice into a shiny exterior for the pulsing “Dance & Kill” and approaching a more solid pop form for the fluttery “Loaded Gun.” Yet each subsequent release found LLLL turning more inward, first with the slower vocal meditations of Phase 2: Remain (featuring vital contributions from London-based artist Yeule, who had her own fantastic album out this year) and then the more spacious electronic creations of Phase 3: Reflect. It was a process of watching an artist morph in front of you, and the results were aching. Get Phase 1, Phase 2 and Phase 3, or listen below. The latest release to crash my personal favorites list, Osaka artist Yullippe’s third album finds her streamlining her shadowy dance music. The tracks on Selfish&Anchor gelled together more than on any of her previous offerings, the industrial pounding and synth creep moving effortlessly between songs to create a unified collection. Though individual moments still thrill. The title track opens up with space and water sounds, before building up to a moment where Yullippe springs the trap on the listener. “Kokot” unsettles with its decaying percussion, while “Orbit” gets all seasick over its runtime. Another wonderful look into the young artist’s world. Get it here, or listen below. Hirokazu Tanaka doesn’t need to worry about falling into a nostalgia pit because he’s the architect behind most people’s own memories. The long-time composer of video game soundtracks played a central role in creating the music of Earthbound, Metroid and many more, playing a sneaky critical role in a lot of kids musical development (as someone who played through Earthbound 14 times, this includes me). 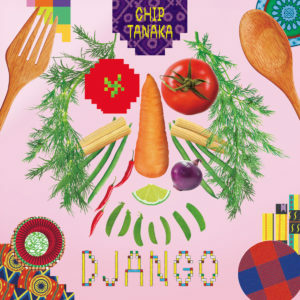 On his debut album as Chip Tanaka, he takes familiar 8-bit sounds and mixes them with other instruments and noises, finding new ways to appreciate chirpy chip tunes. He channels a long-standing interest in reggae and dub on inclusions like “Ringing Dub” and “Pop Bomb,” while also matches most future bass producers in terms of kinetic joy on “Pulse Ride.” He creates silly cartoon sketches that still bounce along (“Beaver”) and turns a cascade of what sounds like Kirby star sounds into a dizzying electronic jumbler (“Drifting”). Get it here, or listen below. Life didn’t allow much room for revelry in 2017. Even here in Japan — a country wherein day to day life is pretty calm and straightforward — you were one tweet or TV update away from existential dread. 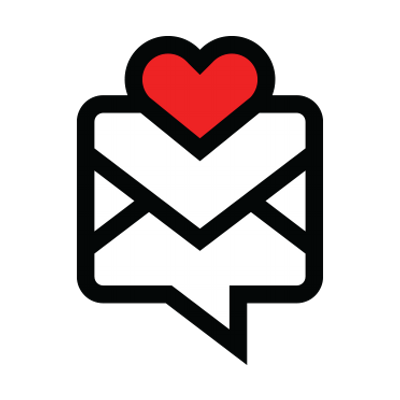 To get through it all, you had to carve out space to just…embrace the good things. 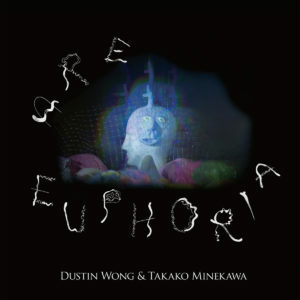 Dustin Wong and Takako Minekawa created a space for ecstatic release on Are Euphoria, a dizzying triumph of two artists who have spent a few years working together finally clicking completely on the same wavelength. Speedy guitar loops wrap around keyboard notes and drum machine bangs, the pair’s voices ascending above it all to add an emotion requiring no words to convey properly. The numbers on Are Euphoria add element after element until it all merges together — Wong compared it to train tracks or a highway — to create a big bright climax. It was nice of them to share their euphoria with the rest of us, because I think we needed it. Get it here, or listen below. If Dustin Wong and Takako Minekawa built up the joy on their songs, ΔKTR broke music down to its molecular level to find the bubbly feelings within. He released a few collections over the course of 2017, but LaLa stands as his highlight. 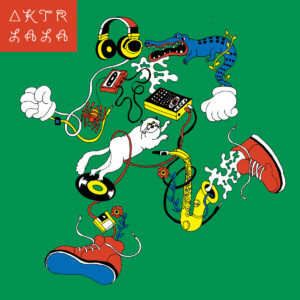 ΔKTR took snippets of older music — American funk, R&B and a smattering of Japanese finds — and finds the most irresistible morsels, looping them into something all new. It falls somewhere between the stretched-out intrigue of vaporwave and the study-ready world of hip-hop beats, but ΔKTR crucially isn’t afraid to warp them into stranger shapes. Check the melted-plastic feel of “Can You Live Without,” or the I-just-stepped-off-of-a-rollercoaster spin mucking up the gloss of “Cindiies Says So Much Love.” The highlight for me is when he teases soaring funk on “Taste Of Magic,” but then, whoops, he turns it into a stuttering jigsaw puzzle of a song. Yet it still sounds just as cheery in fragmented form. Get it here, or listen below. 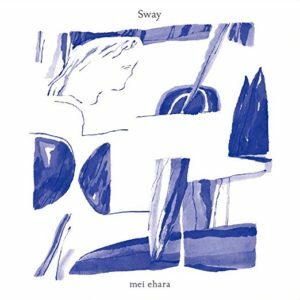 The artist formerly known as may.e embraced a fuller band sound on Sway, her first album under the name Mei Ehara and the first via Kakubarhythm (cero, Hoshino Gen’s Sakerock). Whenever anyone pivots, there is going to be a bit of an adjustment, and definitely a tradeoff — Sway loses the intimate air hanging over her still-magnificient may.e releases, the directness of just acoustic guitar and voice replaced by a crew of seasoned players. Yet exciting new directions also emerge — Ehara channels Japan’s “new music” of the 1970s, touching on the folksy early works of Haruomi Hosono and the sunshowered stylings of Taeko Onuki (down to hitting on hypnotic rhythms). What carries over — and what makes Sway more than a first step — is her voice, still as powerful and attention-demanding as ever, capable of hitting so many emotions with just a few notes. Of all the idol groups to emerge after the disbandment of BiS, I wouldn’t have pegged Maison book girl to end up the best musically of the bunch. Yet in a year where the legacy of BiS’ became completely established both in the underground idol communities and in a mainstream space trying to figure out what comes after AKB, it was this quartet that made the best pop album from the idol corner. Part of Image’s strength lies in its sonic unity — which also tends to be the point they get dinged for most, the idea every song sounds the same. No way! They just tend to use the same building blocks — xylyophone, horns, acoustic guitar strums, maybe some accordion — to create a sound distinctly their own, rather than being BiS-lite. Their major-label debut saw this sound solidify, creating a backdrop for them to do what they do best — indulge in drama, especially inspired by downer feelings. Look no further than “Faithlessness,” a skippy number building to an all-togehter hook about betrayal. Saying it’s the best idol song of the year does it a disservice, seeing as 99 percent of songs from Japan fail to approach it. 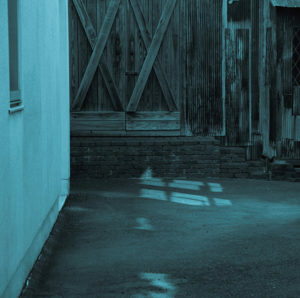 Maison book girl fleshed out the sound further on two EPs released over the rest of the year. 412 introduced the start-stop “Rooms,” featuring the best utilization of breathing sounds on a J-pop song this year. Even better was cotoeri, anchored by the titular number, which saw the group go cinematic behind violin swoops and dramatic pauses (and lyrics written by a computer of some sort, for all you Black Mirror types seeking out an idol group, here you go). The sound of idol music expanded greatly this year, but Maison book girl end it having constructed the most intriguing world of all.